Google chrome is the most using browser in the world whether its a phone or PC or any other device, google chrome is the first choice for surfing the internet for many reasons. Many of the google chrome users ask “How they can Block Websites on Google Chrome in Android”? 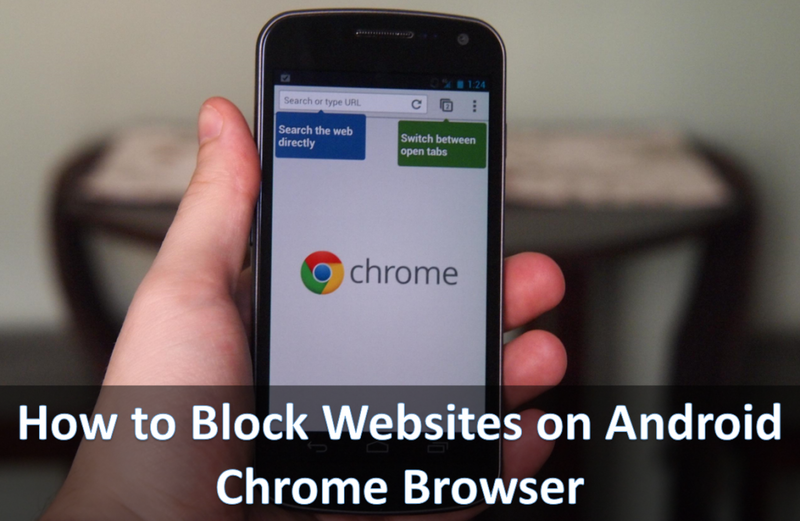 Well, today we are going to provide you step by step guide on “How to block websites on android chrome browser”. The Internet is filled with amazing websites. As well as there are websites which are absolutely not a safe place to visit. Some of these websites may spread viruses or contain adult content. Hence there are quite a lot of users who want to block some certain websites on their smartphone. Even if you happen to be one of such persons who want to know “how to block websites in Chrome on Android?” Then read on. As you read further in this article, I will be telling you the exact way to block websites on your android chrome browser. Do you want to block dangerous websites? Do you want to block certain websites? Open the Chrome browser on your Android device. Go to the settings by clicking on the three dots located on the top right side of your phone screen. From the privacy settings, you have to go the Privacy menu. Over here you will find the “Safe Browsing” option. The safe browsing option will protect you and your device from dangerous websites. Simply enable it by placing a tick mark. These are the steps you need to follow if want to protect yourself from dangerous websites. How to block websites on android chrome browser? In order to block websites on android chrome browser, you need to download an Android app first. Anyway, here we go with the steps. First of all, you need to download the Mobile Security & Antivirus app from Google Play store and install it on your device. Once downloaded, launch the application and enable the “Safe Surfing” feature. Then you have to switch the protection level to “High”. Below the protection level, you would get to see the Blocked list option. So click on that option. Now here you will get to see an Add button. Tap on it. In the next step, you have to add all the websites that you wish to block one by one and you are done. These are the steps that you need to follow to block some certain websites on chrome browser. However, the app will only help you to block the websites on your chrome browser. This means you can still access the blocked websites from other websites like Firefox, UC browser, Opera Mini and others. However, just in case if you wish to access a blocked website. Then you have to remove the blocked website from the App itself and you are done. That was the answer to your question which says “how to block websites on chrome android”. So I hope you have learned something new in this article and now you can easily block websites on Android google chrome browser. If you happen to have any more questions in your head. Then feel free to comment below and I’ll surely help you out.